Okay, that’s a pretty loaded question. However, society sends us mixed signals. We are supposed to navigate our way through this chaotic mess of mixed messages. Society tells us to love ourselves, there’s nothing wrong with it – advertisements, articles, blogs, the media, everyone is all about self-love. 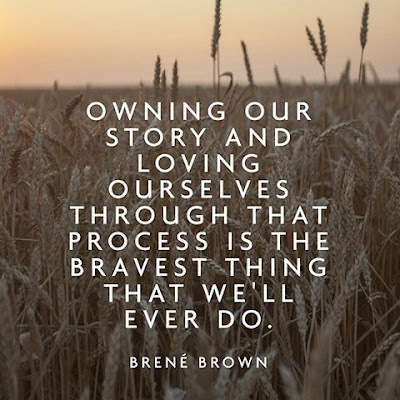 However, it seems as if when you actually start to love yourself, you are called narcissistic, self absorbed, egotistical, and/or full of yourself. You get the gist. So, we are telling everyone to do one thing, but then bashing it when it manifests. There is a fine line between self-love and just being plain in love with yourself. If you’re anything like myself, then you tend to think that if you show any self-love with the world, you will come off as narcissistic, rather than sharing the love that you’ve cultivated for yourself. A love that reminds me to be happy with the woman I am, not focus on the negatives, but keep being a work in progress. Is it wrong to be excited when I accomplish a goal, complete a hard task, or reach a momentous life event? Hell NO! It shouldn’t, right? Yup! But a wave of guilt will come over me if I share it with others, outside of my close circle of family and friends. I fear judgment of being self absorbed (insert whatever word you’d like here). This isn’t to say that my group of friends do not posses their own self-love, it’s more to point out that we don’t openly share it with one another. We don’t tell each other how happy we are in our lives or in our relationships. We are more inclined to do so when prompted by a question. Why do we find it easier to complain about things in our lives, rather than to celebrate the good that is also there? My belief is that it stems from the fear of being self absorbed or the perception there of. Is it bad to want others to be happy for us when we are happy? No, not at all. But we (or more so, I) find it hard to ask for that happiness outright. If you can read my happiness through my facial expressions, my tone, my words, my social media, or my blog then I appreciate it. But I won’t come out and say it. I will openly say when I’m having a rough time, in almost any facet of life, but not when it comes to the good stuff. It’s quite perplexing to me. I think our culture and even my own circle would rather problem solve and sympathize with one another, versus celebrating the good that we each experience. It makes me sad. Not because I have plenty to sit here and boast about, but because there needs to be more good in this world. Women, especially, need to feel secure in loving themselves. If they do, then I believe it will enhance many other areas of their lives. Maybe I have it all wrong. Maybe my perceptions are misguided and I’m not noticing the self-love going on around me. I can only hope this is the case and that those closest to me feel comfortable expressing the love they’ve cultivated for themselves. No matter the amount, self-love is important and I hope we all begin to accept, embrace, and encourage self-love among one another. How do you express your self-love? 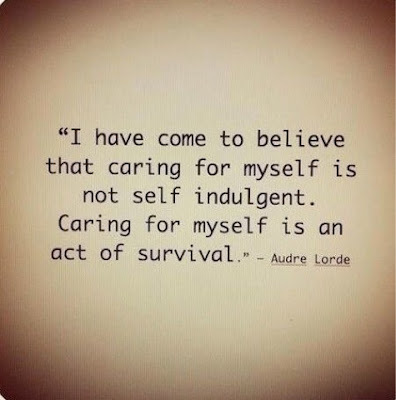 When I think of "self love", I think of accepting yourself for who and what you are. Some people really dislike themselves, their physical characteristics, their perceived short-comings, etc. They mentally beat themselves up constantly. You should be able to "love yourself", own who you are (perceived shortcomings and all), no apologies. Many people don't. They get plastic surgery, starve themselves, all to reach some unattainable ideal that they think will make them happy and content. They aren't happy or content with reality, with what is. When you love yourself, you accept yourself fully. I don't think loving and accepting yourself in this manner is the same as narcissism. Narcissism is akin to living in your own world AND making everything about you without any thought or compassion to other people or their feelings. There's a big difference. If you accomplish something that you're proud of, there's nothing wrong with sharing it with the world. You shouldn't feel guilty. Let the universe know that you are proud of your accomplishment! and most importantly, don't be too concerned with the reaction from doing so. There are all kinds of people out there. They are all going to react in a different way. A positive person with a genuine interest and care for you will be happy for you and your accomplishment. A miserable person will look for a way to judge and maybe try to bring you down, or label you. The truth is, it doesn't really matter what people think. Life is short, and as long as you aren't hurting anyone you should live it the way you see fit. It's entirely possible to love yourself and still be good to other people. If people want to throw a label on that, that's kind of their issue not yours. Don't live your life worrying about what other people think. Be yourself with no apologies. Those who matter don't mind, and those who mind don't matter. It will sort itself out, it already has.